Why is it that we do not find fulfillment, even after years of striving towards material success? Why is it that the more we analyze our problems, the more difficulties we face? How do we get over the ultimate fear of death? How do we cope with the loss of loved ones? What happens to us after death? 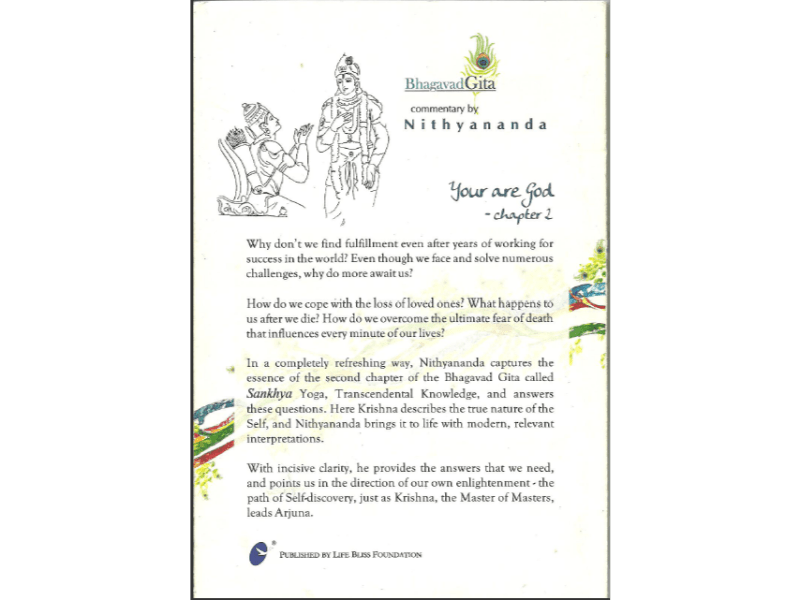 Nithyananda, in his own unique way, captures the essence of the second chapter of the Bhagavad Gita, called Sankhya Yoga or Transcendental Knowledge, relating it to contemporary needs and dilemmas. 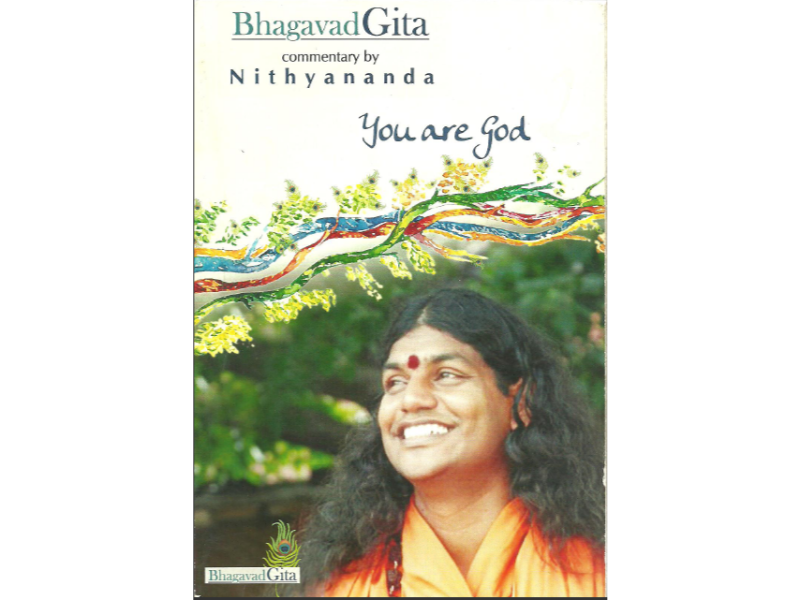 With tremendous clarity and sharpness, He provides answers to questions and in doing so, leads the seeker to a path of self discovery, just as Krishna, the Master of Masters leads Arjuna.